Firefly attended Hire Association Europe’s annual Hire Awards which took place on the 23rd of April at the Northumberland Hotel in London. We are pleased to announce that we were presented with the ‘Event Industry Product of the Year’ award for our Cygnus® Four Hybrid Power Generator. The awards represent the best in the industry for plant, tool, hire and event equipment. 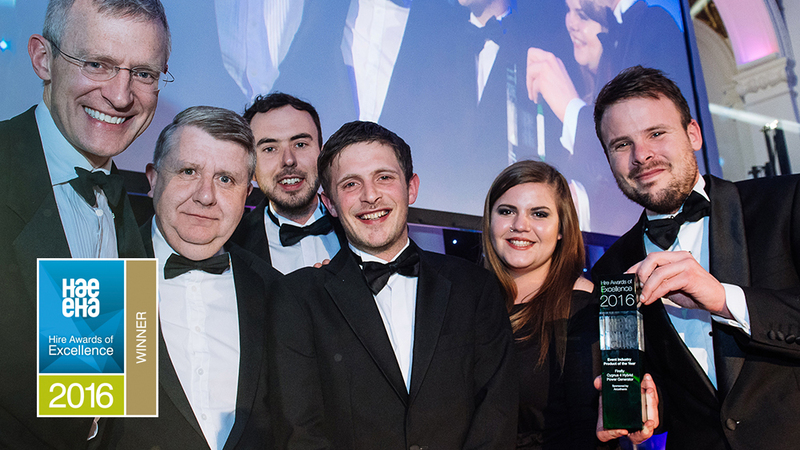 Presented by host Jeremy Vine, our team took to the stage to collect the award which was sponsored by Acrotherm. “An excellent entry with impressive case studies to back up how this product delivers reliable and sustainable power solutions to the event industry, with real business benefits which include 100% silent and vibration free power and significant cost savings”.